The teenage years: The mere phrase can bring on anxiety for parents. 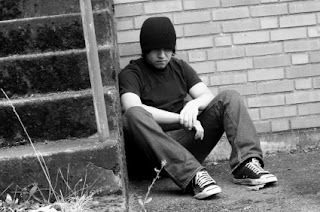 The image of a moody, rebellious, angst-ridden teen is common on television and in movies. Luckily, this stereotype isn’t representative of how most teens actually think and behave. But even though the high school years aren’t always as dramatic as pop culture might promise, they can certainly be a rollercoaster as teens seek independence and grow into adulthood. There are likely times when teens really push your buttons. They may seem impulsive, rebellious and irritable. You might ask yourself: Is he just being a teenager, or is this something I need to be concerned about? While professionals at your teen’s high school likely had the benefit of studying adolescent development in their training, it can be hard for parents to determine what behaviors are expected at this age and what behaviors might be “red flags” of a problem with behavior, attention or learning. Increased capacity for abstract thought. Increased interest in future plans and greater capacity for goal-setting. Remember, not all teenagers develop at the same pace or in the same ways. Variations in the course of development are to be expected! However, unevenness or lags in the mastery of skills or behaviors should not be ignored. Has trouble evaluating personal social strengths and challenges. Personality shifts and changes, such as aggressiveness and excess anger that are out of character. If you’re worried about any aspect of your teenager’s behavior or development, don’t wait to discuss your concerns with your teen’s pediatrician or family doctor, teachers and other school-based professionals, and if necessary, a specialist (such as a psychologist). Wondering about other aspects of your teen’s development, including language, reading, gross and fine motor skills and more? Check out our Interactive LD Checklist.